Are you recruiting on demand as the need arises or are you making investment in recruiting ahead of demand? The best companies invest in the talent communities that matter to their strategy, and do so primarily for the good of the talent community itself. An Inbound or Content recruiting strategy allows the company to focus talent development as if people mattered. This webinar will help you identify how to begin to tell your story of employment to the talent communities that matter most to your business. How to develop that story so that the emotional drama of employment connects with the right audience. The bonus value of improving retention and talent development process thought a powerful employment story. 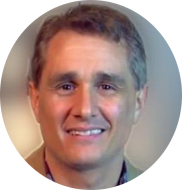 Joel Capperella has more than 19 years of experience developing value-added solutions that solve a broad array of workforce challenges. Placing the needs of the workforce management community central, he has consistently and successfully introduced innovative technologies and services into the appropriate marketplaces. Joel is frequently invited to share his insight to a wide variety of communities and publications. His works have appeared in an assortment of media outlets, including BusinessWeek.com, The Federal Times, CRM Today, Computerworld, Retail Merchandiser and Talent Management. He holds a B.S. from the University of Delaware, and has completed graduate level coursework in philosophy and theology. Joel lives in the Philadelphia area with his wife and six children. Original recording date: Date: Wednesday, March 2, 2016.